Born and raised in NJ – now living in Atlanta for past 30 years – Jim received his BS Engineering from USMA in 1971. After successfully completing Airborne and Ranger training and certification he served with the 82nd Airborne Division and other units for seven years where he served in a number of direct leadership positions. 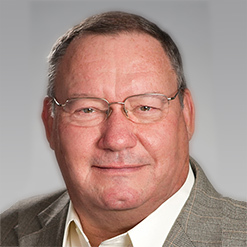 Since leaving the military – Jim has over 38 years of relevant industry experience, including successful tenures at software, services and technology firms in the role of CEO or COO during the past 21 years. He developed a strong business foundation and broad business experience by developing and leading successful professional sales organizations in several large companies prior to assuming broader operational and strategic responsibilities. Jim’s reputation is based upon his adherence to fundamentals and demonstrated strength in leading organizations, developing leaders, creating teams and nurturing collaborative work environments throughout his career. Jim also attended HBS PMD in 1974 and has served on the Boards for Veteran’s Upward Bound, West Point Society of Atlanta (President in 1998) and several other charitable organizations over the past 30 years. Jim’s passion for W2C is fueled by his prior military service, his continued close relationships with current and former service member families, and the fact that Jim’s father, a WWII officer/pilot, served on the police force in Piscataway, NJ for 30 years – finishing his career as Police Chief and Public Safety Director (1969 – 1976). Thus Jim knows first-hand the challenges faced by the members and their families in such environments.